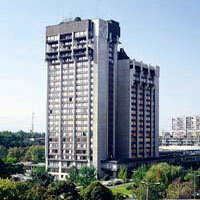 Hotel Sankt Peterburg is the biggest hotel in Plovdiv. 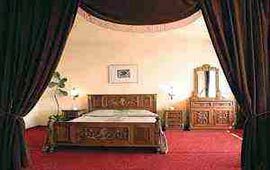 It is located in the business centre of the town, not far from the Plovdiv International Fair. 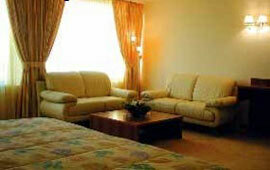 The room facilities include direct dial telephone, satellite/cable TV, radio, telephone, private bathroom/toilet, bathtub. 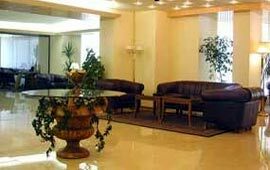 The hotel facilities include lift, safe deposit boxes, currency exchange office, room service, laundry and dry cleaning, restaurant, bar, cafe, shop, conference room, parking lot, truck parking lot. 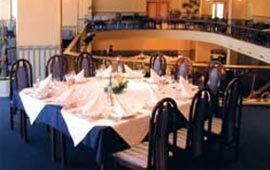 The restaurant has capacity of 450 seats and offers Bulgarian national and European meals. 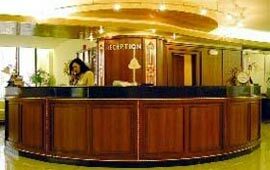 A lobby bar of 60 seats and mezzanine bar with 80 seats are available too.